Jerry Hay is the Hoosier author of a children's book about the true adventures of Gilligan the Goose. Gilligan is Jerry's river friend who has had some adventures of his own. Read the unusual story about how they met and bonded. Gilligan always made life interesting along the Wabash River. 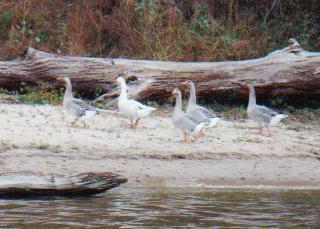 The unique feature of the book is that the story is true and Gilligan is a real goose. He is well known by local river people who are greeted by him as they pass in their boats. The book was released in the fall of 2004 by HJ Kramer publishing. 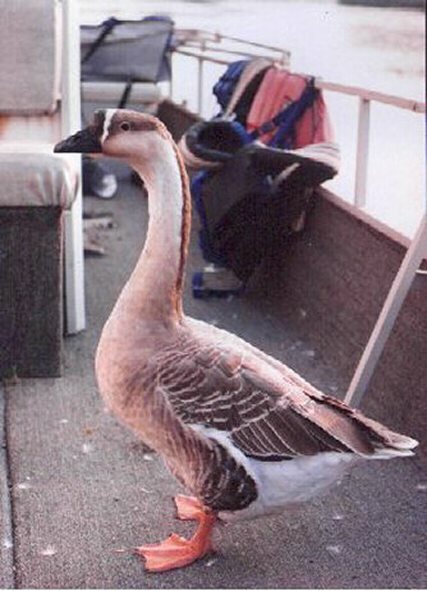 A Goose Named Gilligan was very successful but went out of print in 2012. Used copies can still be found on many internet sites. In his book, Beyond the Bridges, there is an entire chapter dedicated to the adventures of Gilligan. 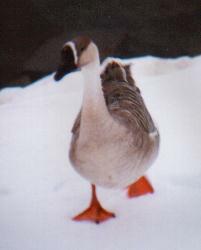 Readers will laugh at his antics and have their heart warmed, reading about this loveable goose. Meridian International Art Centre and the Library of Congress selected illustrations from "A Goose Named Gilligan" book to represent the state of Indiana in a traveling art exhibit. It was chosen for it's quality and for depicting the natural beauty of Indiana, and particularly the Wabash River.